Oz and Armonico Drink to Music! Beethoven’s late string quartets are some of the most remarkable, personal statements in all music, and certainly some of the most profound and engrossing works for the string quartet medium. This new collaboration between the Dante Quartet, actor David Timson and writer Clare Norburn follows Beethoven’s personal and musical journey through these works. 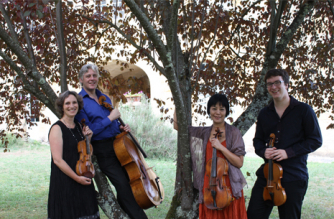 The quartets are performed complete, while the narrative, formed from original source material interwoven with Clare Norburn’s creative writing, casts a new light both on the music and on Beethoven as a human being. Between the two performances, Clare Norburn discusses Beethoven – his life, his character – and how she balanced the narrative for David Timson with the quartets themselves.